As the name says, this WordPress theme is a great choice for your charity / non-profit organization. 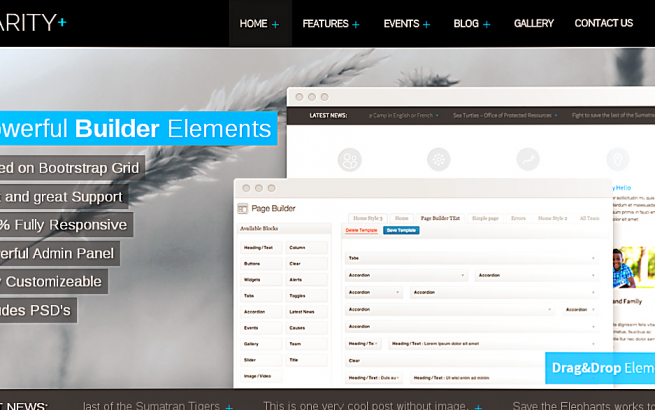 Some of the most important functionality of this theme have are: Events, Causes, Gallery, Latest news. We worked hard to make creating any of this elements, or all of them, effortless as easy as child’s play is.